The components that we design and engineering should satisfy the service and the requirement. For that, engineers make sure that each type of material should be tested before we used for the making of the components. Along with the strength, there are other properties are also needs to test such as hardness, toughness, brittleness, etc. Let’s discuss what are the different types of material testing methods ( Testing of materials). The destructive test is meant to test the material strength. The specimen which is under destructive test subjected to the fracture. The destructive test intended to study the behaviour of the metal under different loading conditions. The finished product which is under Non-destructive test will not be subjected to the fracture. The Non-destructive test intended to know the internal defects of the finished product. Ok. now you have an idea how the basic types of testing of materials classified right? 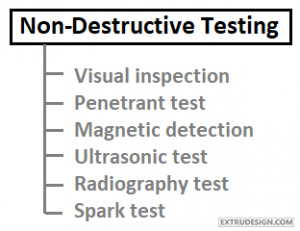 And again there is a subclassification in these destructive and the Non-Destructive tests. the subclassification is as follows. Where the load is applied gradually in static testing. 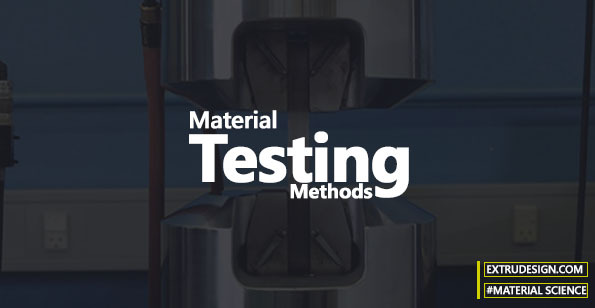 different material testing methods available under static testing. they are listed below. What is Impact (Dynamic) Testing? When the given specimen is subjected to shock loads then it is known as the impact load testing or the dynamic load testing. In this article, We have given the list of the different Material Testing Methods? (Testing of Materials). We have briefly discussed all these methods in individual articles, follow the links for full articles. If you have any thoughts please let us know in the below comments. You mean What are the Ferrous materials and the non-ferrous materials? Check out the Material classification here! Or you are looking for the Material testing methods for the Ferrous and the Non Ferrous materials? Since you said that there are two kinds of material testing methods to use when it comes to construction materials, maybe the laboratory can find out which method is best for the cement formula we’re using right now. I think if we had a choice, however, I would stick to static testing as you enumerated had different methods of testing which I think are applicable to the cement mix. I’m pretty sure we can also conduct non-destructive testing as well as you stated but in the end, it will be up to the laboratory to tell how the mix will be tested so if we find any laboratories that are willing to test cement formulas for our new brand, we’re willing to have it tested there.